Drs. Kazemi, Muir and Sajko have developed a revolutionary new method for delivering maximum benefit in the shortest amount of time. Patients benefit from higher blood low resulting in increased power and strength. The health provider will experience greater ability to apply compression with minimal discomfort to the patients. VMTX Vibromax Therapeutics™ is an innovative soft tissue therapy technique utilizing the effect of vibration via the art of compression and tension along and over the soft tissues along the known kinetic chains to break down adhesions and scar tissues, decreasing pain, restoring function and enhancing performance with minimal discomfort to the patients and the providers. Dr. Kazemi is the original inventor of this technique; however, VMTX has been further developed by Dr. Brad Muir and Dr. Sandy Sajko. To help educate health providers all around the world with necessary knowledge and skills to apply VMTX. To decrease pain, enhance healing, function, performance and quality of life. To provide current and evidence-based knowledge. To provide a soft tissue therapy technique with minimal side effects and discomforts to the patients and providers. To update knowledge base and skills on an ongoing basis via research. 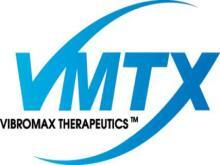 To investigate the effectiveness of VMTX via continuous research. Mobilization of soft tissues and joints. Breaking down adhesions and scar tissues with minimal discomfort to the patient and the provider due to analgesic effects of vibration. Reducing the results of the aging process in musculoskeletal structures. Effective countermeasure to microgravity and disuse. Reducing the viscosity of the blood and increasing its speed through the arteries; therefore, acting as a mild form of cardiovascular exercise. Increasing concentration of testosterone and growth hormone and decrease cortisole concentration in recreationally active people. Ability to apply greater compression and tensional forces to the tissues with minimal discomfort to the patient as well as the provider due to analgesic effect of the vibration; therefore, breaking down adhesions and scar tissues in deeper tissues than any other manual techniques. Easy handling of the instrument without undo stresses on the providers’ hand, fingers or thumb. Ability to treat patient without removal of the clothing and hence provide care anywhere and anytime. First soft tissue therapy technique to address and treat Kinetic Functional Chains. Ability to treat each Kinetic Functional Chains in one stroke efficiently and entirely. Specific stretches for each chain that can be reproduced and handed to the patients.